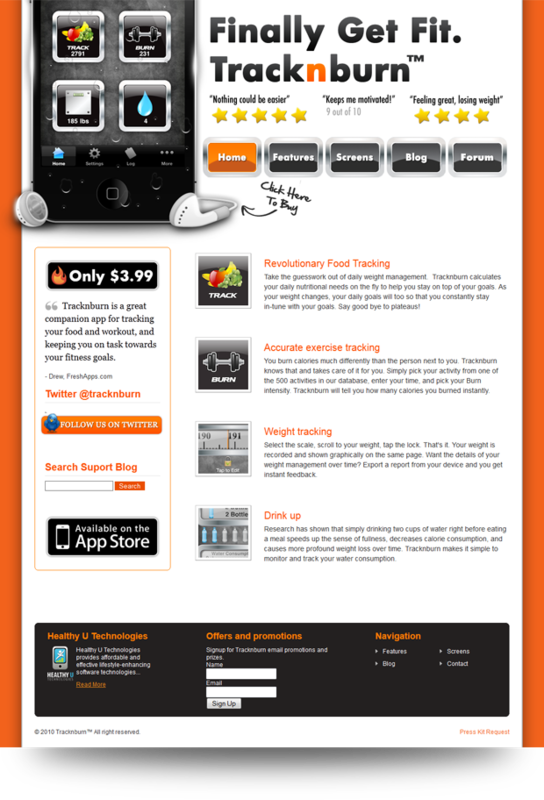 TracknBurn is a top 5 Health $ Fitness iPhone application company who needed a web presence. They were in the final rounds of Apple iPhone’s approval process and needed a website that showcased their app and sold their product.  We worked very closely with TrackNBurn to create the look and feel they desired as well as integrate a number of features that allowed him to get feedback from his customers about his iPhone App. Xplode Marketing worked extremely close with the owner of TrackNBurn to come up with the exact design he was looking for. The goal was to integrate a clean and professional design into WordPress and focus on the iPhone app itself and nothing else. 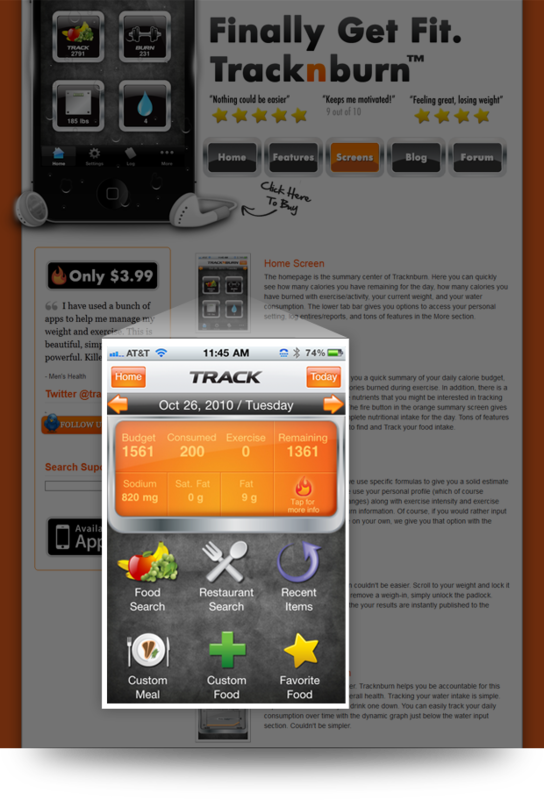 TrackNBurn is currently a top 5 iPhone application and we are happy to be a part of it.